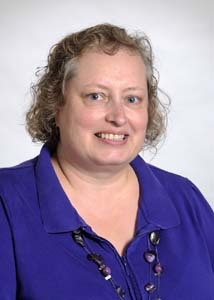 Ann Richards became Director of Lifespan Spiritual Growth and Religious Education in August 2012. A lifelong Unitarian Universalist, she served as Acting Director of Religious Education at the Unitarian Universalist Congregation of Fairfax and Coordinator of Children’s Ministry at the River Road Unitarian Universalist Congregation. She has also been an RE student, an RE parent, and an RE teacher. She has a Masters degree in Arts Management from American University (non-profit management with an emphasis on education). During her career she worked with the Wolf Trap Foundation for the Performing Arts and the Smithsonian Institution in both management and educator roles.